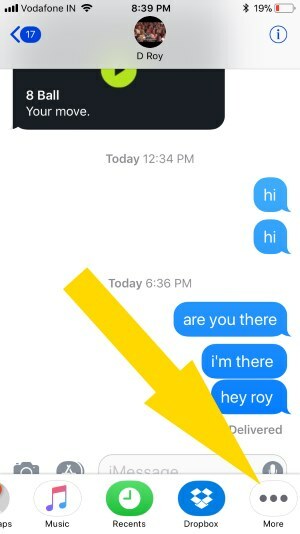 Apple’s Messages App is redesigned in iOS 11 with app Drawer and impressive Message effects ECHO, SPOTLIGHT. Here I am discussing on how to customize App Drawer pane depends on frequently used apps for send stickers, Play games and get the new app from iMessage app store from movable horizontally on app ticker slider. 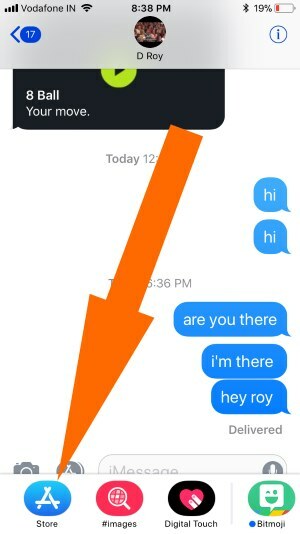 Apple’s Instant message is now quicker by starting to type in the Textbox or Browse app from app picker. Open Message app and Tap on text conversation in that you want to send the sticker or use other apps from app picker. Tap and hold on App selector slider and Swipe left or right direction for search more app or Switch to another app. 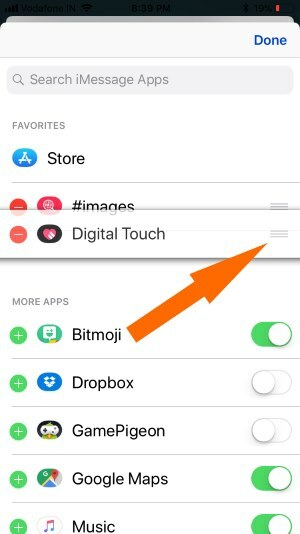 Where is app store access on new Message app Drawer? App Store is at first position in App ticker slider. 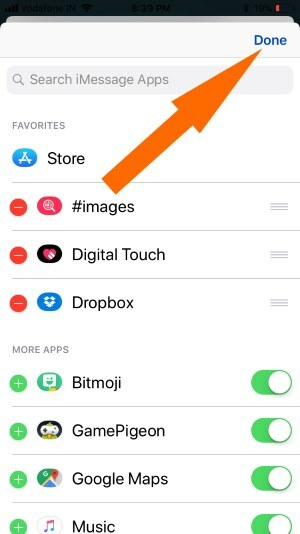 Are you at the end of app picker, most to forward and tap on App Store icon to launch iMessage app store. Customize App Drawer in iOS 11: That help to quickly hide, Remove or Enable app access on Message. 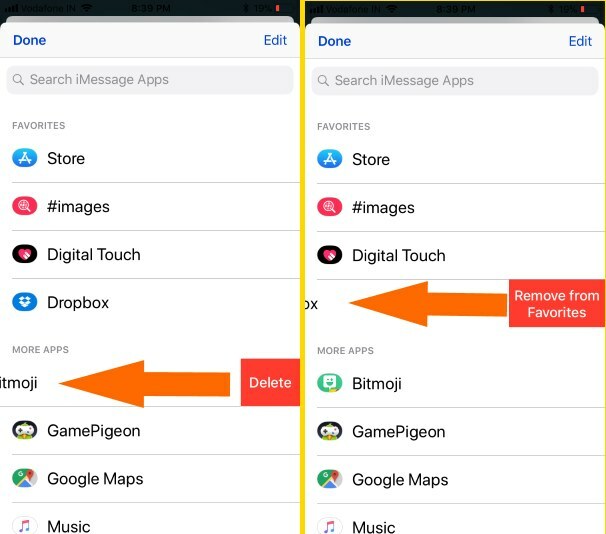 Rearrange, Hide, an Unused or unwanted app we can delete from Message app quickly using below guide. 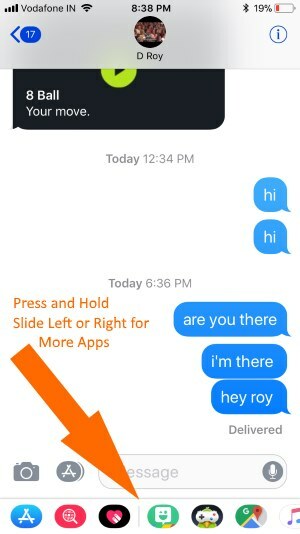 Tap and hold on app picker on Message app, Slide and move to last. 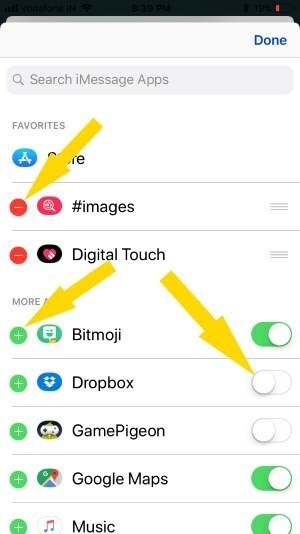 Tap on Edit at the top of the corner of the screen, Tap on a + icon for add in your favorite list and – for remove from favorite list. Done for Save Changes in iMessage App Drawer in iOS 11. Use Drag icon near to app name under favorite apps list. We can eliminate By Disable toggle under more apps. Use Edit mode, And See the App that disabled for the show in App picker or App Drawer. The app is disabled in edit mode from above screen then app icon automatically missing from app picker slider. Your Message app drawer loaded with lots of apps, That’s the reason for your Message app freeze or crashing on access stickers or app. Unable to add or download the app from App Store using App Drawer. Remove all the iMessage apps from home screen. The app will automatically remove from Messages app. Restart: Press and Hold, Sleep/Wake until you see the slide to turn off the slide on the screen. Force Restart: Press and Hold Sleep/Wake + Home button until you see the apple logo on the screen. Go to iPhone Home Screen, find Sticker app or Game installed from Messages App store. Tap and hold on the app icon until icon jiggle with the cross mark on the app. Get ready for use new Stickers app, Games app on iPhone Message app from app store. And Hide or remove unused apps from Messages app Drawer. Also, you can rearrange apps in Messages app drawer in iOS 11 running on iPhone (iPhone 8/8 Plus/iPhone X, iPhone 7/7 Plus, iPhone 6S/6S Plus, iPhone 5S/5), iPad.